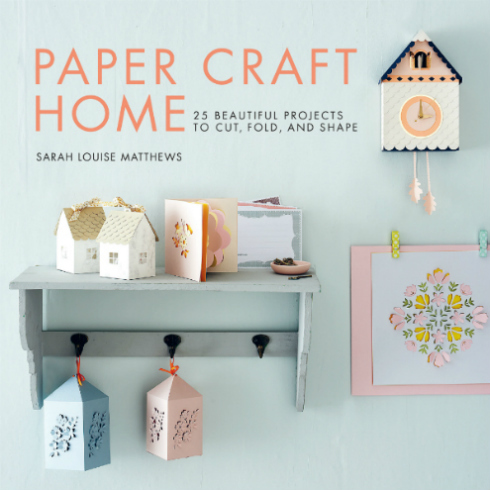 As a longtime fan of the elegant spin Sarah Louise Matthews places on paper crafting, I'm happy to bring to you images and information about her brand new book, Paper Craft Home, directly from its publisher, Roost Books, and for those of you in the U.S., the chance to win a copy of your own! Included within the 144 pages are twenty five useful projects to cut, fold, and shape...useful being the keyword as I like the things I make to have a purpose, even if they are simply decorative. While electronic cutting machines are incredibly popular, many of us still prefer the "by hand" method of paper crafting. Thus, my heart is happy to see an array of lovely designs that can be successfully completed by those who enjoy relaxing via a slow and steady process. Included at the beginning of the book is essential information about materials, tools, and basic techniques. Templates for each project are found at the end. Text and photographs explain the steps, and as you can see here, the beauty shot images are enticing... you just might find yourself wanting to make every project! 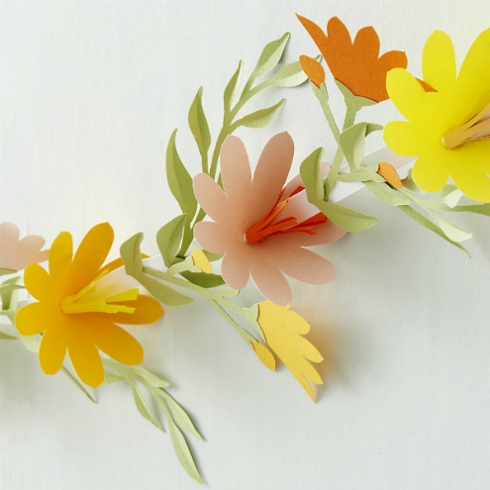 The projects are imaginative and on trend... practice paper cutting via a colorful floral mandala and craft a pretty garland of flowers and leaves. 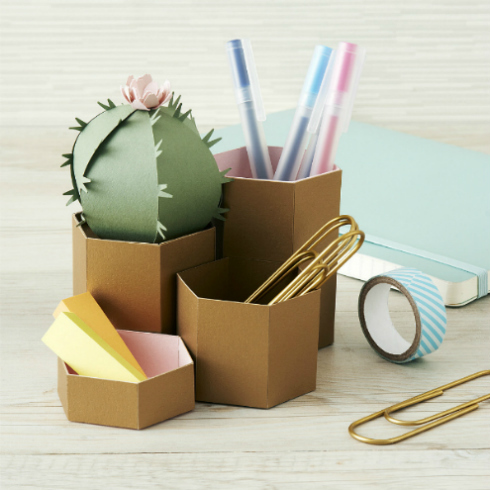 Succulent lovers will enjoy making this Cactus Desk Tidy. 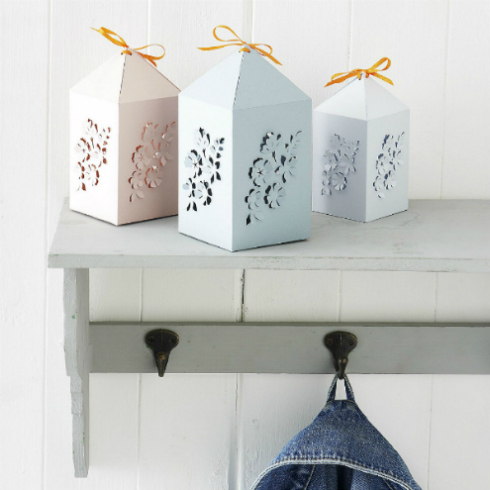 Not only is it right in style, but you'll be able to use it as a little storage container. I can picture this long-legged beauty as a baby shower centerpiece... it is not a project in the book, but the photo is included with others to show Sarah's diverse talent. You will find a floral cake topper project and fairy lights, botanical monogram, an origami lampshade, giant poppy, gem garland, pop up card, swan gift bag, watermelon favor box, and more. If you are brand new to paper crafting, the book features the projects in the order Sarah considers easiest to most difficult. 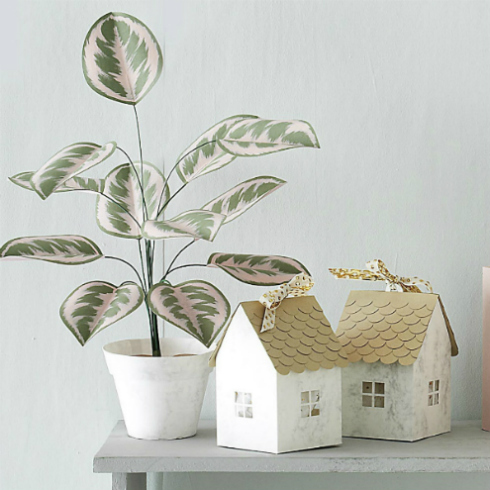 An identical giveaway is underway on the All Things Paper Instagram feed. You may enter one or both places by the end of Saturday, August 4, 2018, but can only win once. One winner from blog entries and one from Instagram entries will be chosen via a random number generator, contacted, and announced at the bottom of this post and on the Instagram giveaway photo. Good luck! 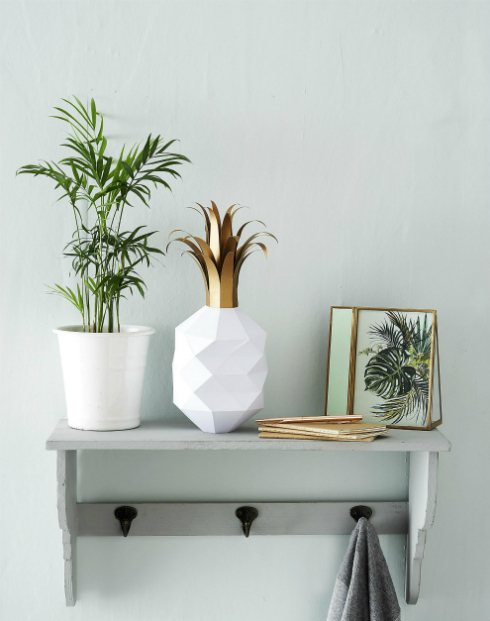 Roost Books has shared a complete tutorial for one of my favorite decorative objects from the book - the Minimal Vase. Congratulations to the blog giveaway winner, Kim Stelly! DarkRidgeCreations won on Instagram. Thanks to all of the entrants for participating and stay tuned for another new book giveaway coming up very soon. This giveaway is sponsored by Roost Books, an imprint of Shambhala Publications, Inc.
Looks like an awesome book with terrific projects! Thanks for the opportunity to win a copy! 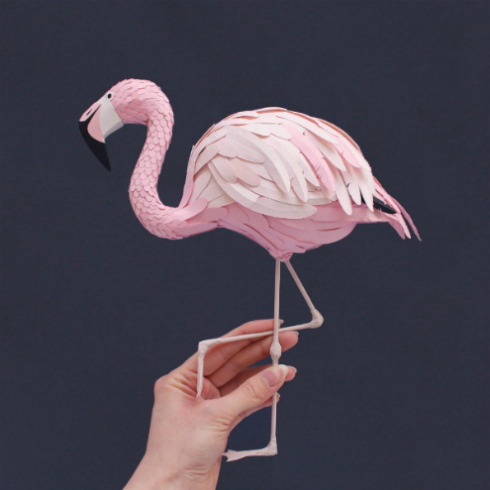 that is THE best paper flamingo EVER! These are some really neat ideas!! I never thought I could do anything artist, I was shy and worried people wouldn't like what I made. It wasn't until I was in an abusive relationship that i started trying out different things. The more I started doing it because of the relief and comfort I got from it, the better my pieces were turning out, and my confidence grew. I was able to get it off my bad situation and I think it's because of the art. It means a lot to me that blogs like this excsist. That people put the time and effort to so tutorials and examples, people from the different communities on the social media platforms answering questions. It's things like this that saved my life. Thank you all so much. WOW, that flamingo is amazing!! !